Your maybe-not-so-clean hands touch your phone, then you put it up to your face. Eww! This is the best way to clean your cell phone to get rid of germs and help prevent illness. Mix up a solution of 30 percent alcohol and 70 percent water in a spray bottle. 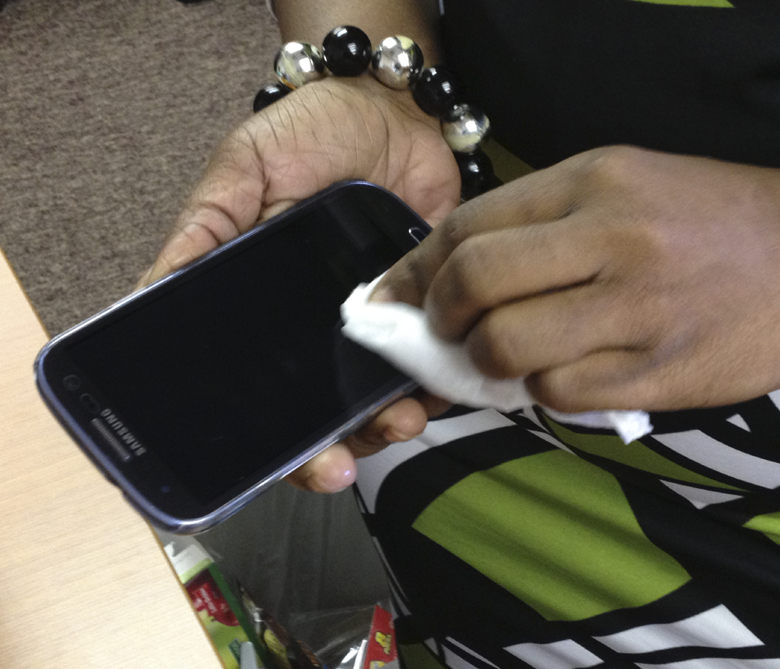 Lightly spritz it on a microfiber cloth (not directly on the phone), then wipe down the front and back of your device. Bye-bye, germs.